Jay R. Jansen, 52, of S Eva Street, Port Washington died Monday, April 23, 2007 at his home after a lengthy battle with cancer. He was born May 3, 1954 in West Bend, Wisconsin to George and Suzanne Cooley Jansen. He grew up in West Bend, and graduated from the University of Wisconsin – Stevens Point. He earned his Masters Degree from the University of Wisconsin – LaCrosse. He married Christine Brown of Madison, Wisconsin on August 9, 1986 in Fort Atkinson, Wisconsin. He took a Parks Director job in Maryland and later in Ohio, but wanted to return to Wisconsin. in 1995 he returned to Port Washington and became the City Parks and Recreation Director. His wife Christine preceded him in death October 30, 2002. Jay believed in the Park & Rec Mission Statement “to improve the quality of life for all residents of Port Washington by facilitating leisure and cultural activities, special events and services that promote mental and physical health, self-development and community involvement. The Department will also strive to sustain and enhance the natural environment through careful planning and maintenance of the parks and open spaces.” With this mission he was instrumental in the construction of Pirates’ Hollow Pool and Water Park and Rotary Park. He was active with the committee to redevelop the WE Power Plant property and future development of a handicap playground in Port Washington. He was Past President of the Wisconsin Park and Recreation Association Park Section, Board Member of the WPRA, Coordinator of the Park Design Awards, Coordinator of the WPRA Foundation Corporate Sponsorships for Annual Golf Outing to provide professional and student grants and scholarships, Legislative Committee Member; Membership Committee Member, Task Force on Revenues, and the Task Force on Office Relocation. In 2006 he was honored with the WPRA’s Director of the Year. Until recently Jay was a member of the United Way Board of Directors, St. Mary’s Church Parish Council and an active member of the Port Washington Lions Club. He was currently working with the Club to replace the equipment of Lions Park this Spring, 2007. Jay was always the home remodeler and enjoyed golfing with friends and league play at Squires, Fishing and Scuba Diving, recently returning from a trip with friends to South America. He is survived by special friend and caregiver Cindy Kimball of Port Washington, mother Suzanne Jansen of Muskego, Wisconsin, brothers Michael (Judy) Jansen of Watertown, Wisconsin, Mark Jansen of West Allis, Wisconsin and Jon (Lisa) Jansen of Pewaukee, Wisconsin. Further survived by canine pal of over 14 yrs Freddie, nieces, nephews, other relatives and many friends. Preceded by his father and his wife Christine Brown. Funeral services 7PM Friday, April 27 from the funeral home to St. Mary’s Church, Port Washington for Mass at 7:30PM. Interment parish cemetery. Visitation 4-7PM Friday at the funeral home. 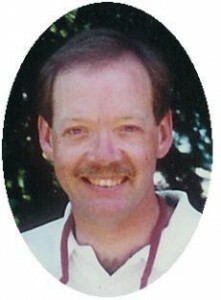 Memorials to the Jay Jansen Memorial Fund through the Wisconsin Park & Recreation Association Foundation, 6601-C Northway, Greendale, WI 53129 appreciated.